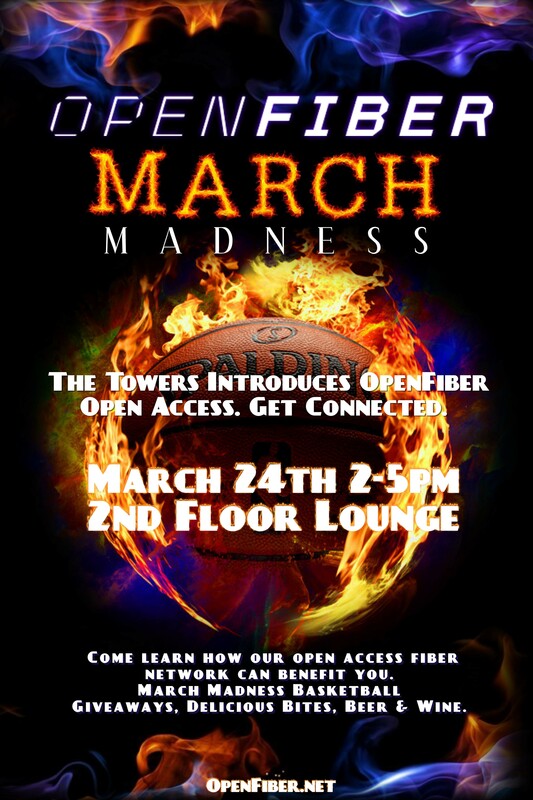 Come party with Telnexus and OpenFiber! We will be celebrating lighting up several new office buildings in the Powell Street area in Emeryville with the latest generation of fiber optic Internet service. OpenFiber installs, and operates a Fiber to the Premises (FTTP) fiber optic network in the San Francisco Bay Area. FTTP means fiber to the end user, whether it is the home, or business. Open access means that anybody, whether they are carriers, service providers, businesses, or individuals, can use the OpenFiber network to provide service to clients, or for their own use. OpenFiber has finished it’s installation at The Towers in Emeryville building complex centered at 2000 Powell Street. Telnexus is working with OpenFiber to help launch the service at The Towers complex as a participating service provider. On Friday, March 23 2017, OpenFiber is hosting an event at the 2nd Floor Lounge at 2000 Powell Street. It starts at 1:0o PM and runs until 5:00 PM. We will be there to sign you up for the best and most affordable FTTP service in the entire San Francisco Bay Area! This is designed to be a fun event with March Madness basketball hoops plus free food and beer during the March Madness Happy Hour! Telnexus will be demonstrating our Cloud PBX system that runs as smooth as silk over the OpenFiber network. As a participating service provider with OpenFiber, Telnexus combines your Internet bill with your telephone bill. Hopefully we help making managing a critical part of your business just a little easier.